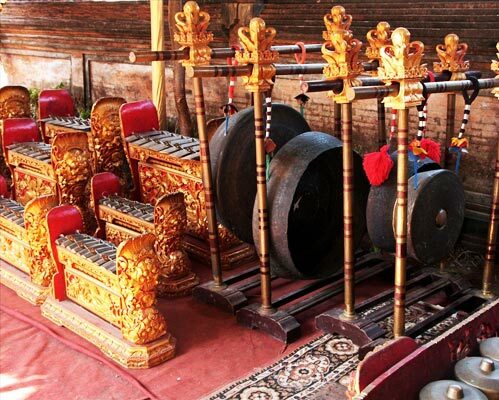 Come and Travel with Local Expert. 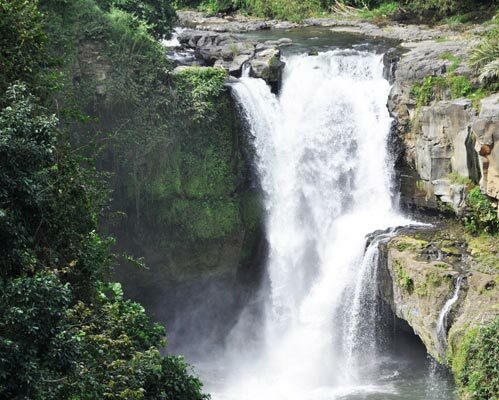 This waterfall that is located closest to the city of Denpasar and the only waterfall that is located not in the highlands or mountains. 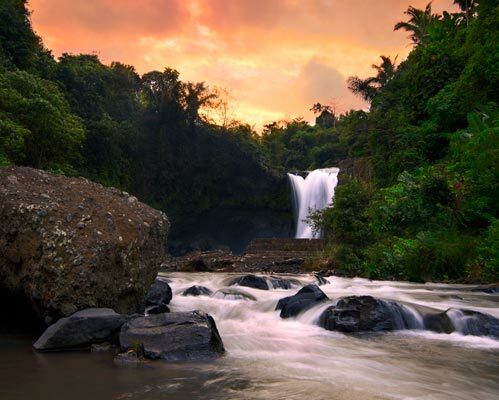 Tegenungan Waterfall located in the Tegenungan Kemenuh village, District Sukawati, Gianyar. 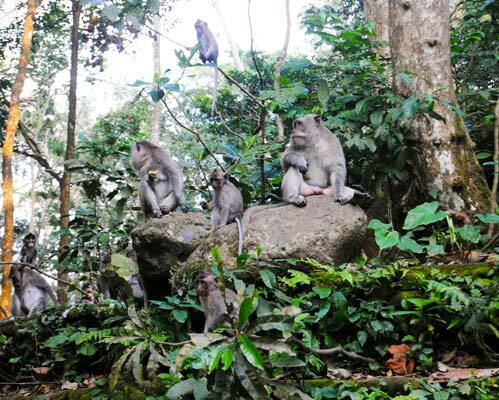 The distance is only about 16 km from Denpasar or 30 minute drive. River waterfall in Petanu Tukad is quite unique. Although not so high (only about four feet tall), water flow is very heavy. The water is also clean and clear. It is suitable for bathing or just playing around water. 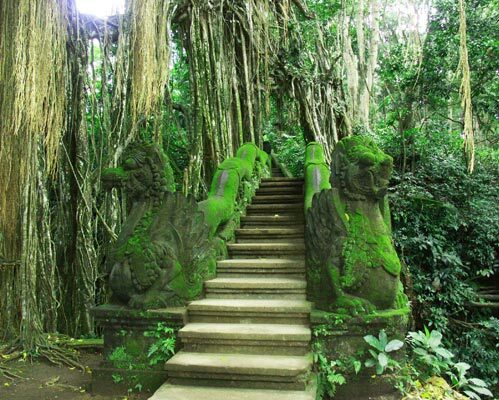 Natural scenery around Tegenungan Waterfall is quite beautiful, with green trees and beautiful. 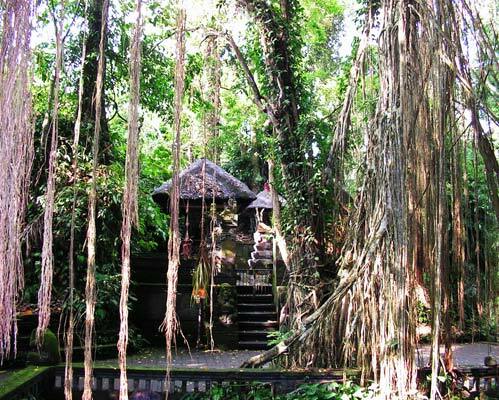 Near the waterfall has been constructed with several shower baths from natural springs. Local residents often bathe and fetch water for daily consumption at these baths, especially in the morning and afternoon. Ikat cloth is an essential part of the traditional Balinese costume. 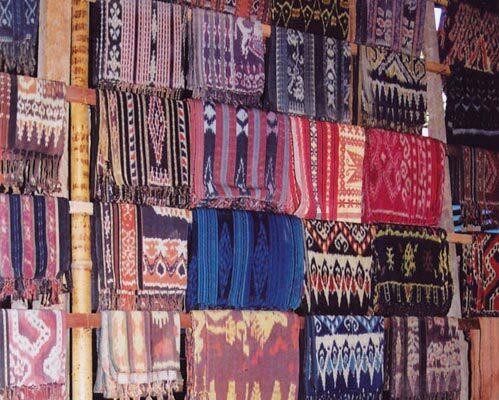 The ikat technique was brought to Indonesia many centuries ago by traders. 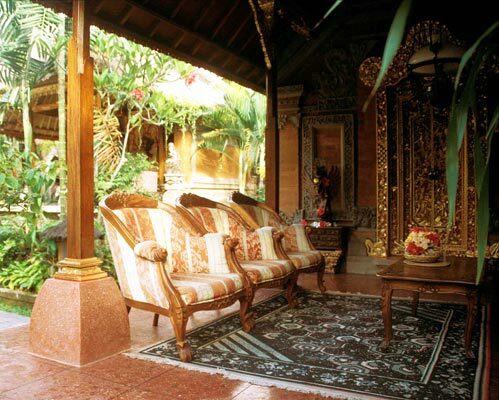 It has since developed into a high art in Bali and continues to challenge its dyers and weavers. Backstrap weavers produce cotton double ikat, while foot-loom weavers produce silk and cotton weft ikat yardage. 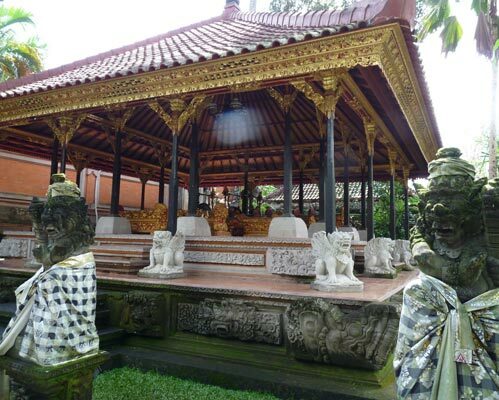 Udayana, fourth generation ruler of the Warmadewa Dynasty, ruled over Bali in 1011, at a time when the Kingdoms of East Java were at their peak. 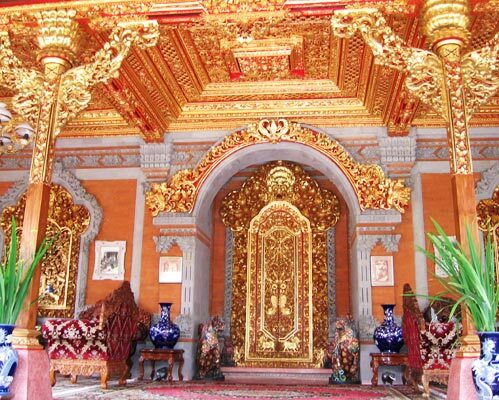 He married Mahendratta, East Javanese princess, forging an indelible link with Java. 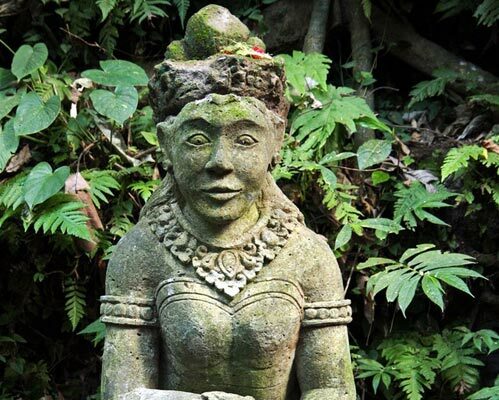 This queen buried on the hill of Bukit Dharma in the village of Kutri just 5 kilometers from Denpasar. This queen was supposed to have been the manifestation of Durga, the Goddess of death, and at Durga Kutri, her burial place, can be seen a stone statue of Durga on the back of the bull, Nandini. 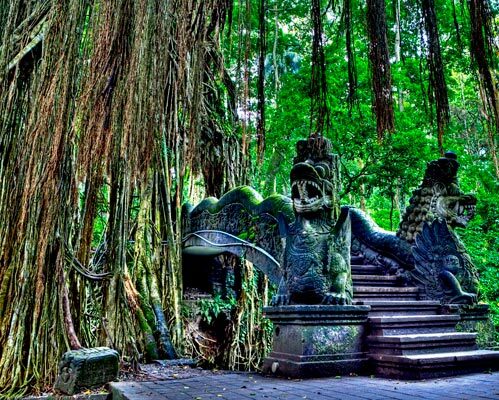 She is identified as the witch in the Calon Arang story, the evil Rangda of Balinese mythology. 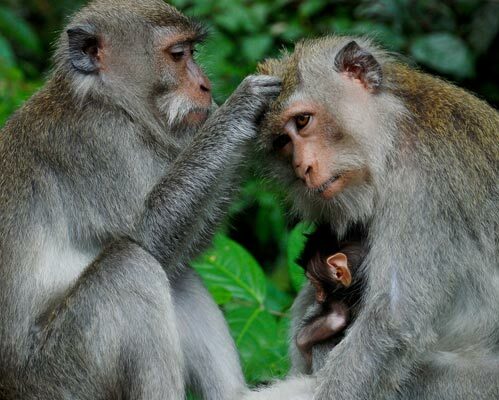 A Full Day Tour by visiting one of the prestigious object (water fall, beautiful rice terrace, the monkey forest and royal palace) in Bali. 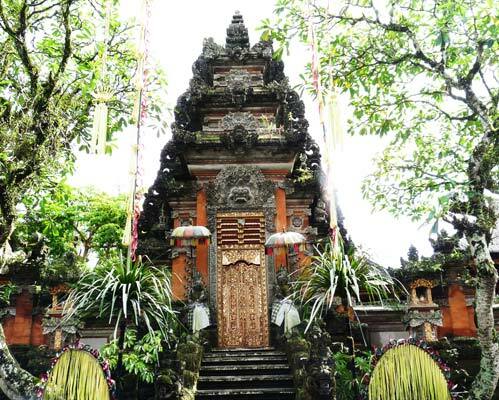 Special Deal year 2016 for Ubud Tour price. Booking now. En hel dags tur ved at besøge en af de prestigefyldte objekt (vandfald, smukke ris terrasse, aben skov og kongelige palads) på Bali. 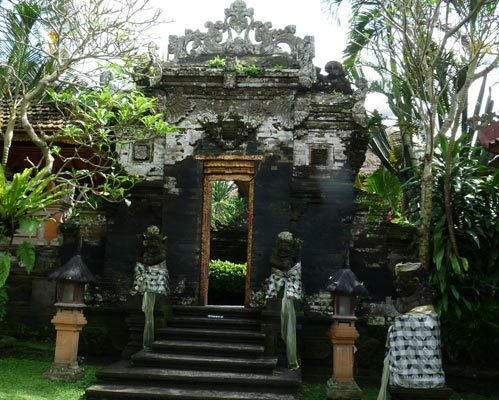 2016 særlig aftale for Ubud Tour pris. Booking nu. 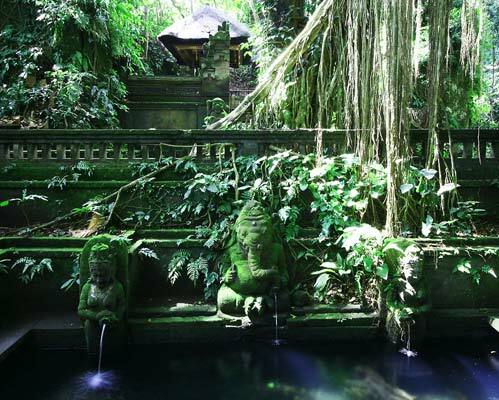 Eine Ganztagestour durch den Besuch eines der Prestigeobjekt (Wasserfall, schöne Reisterrassen, den Affenwald und dem königlichen Palast) in Bali. 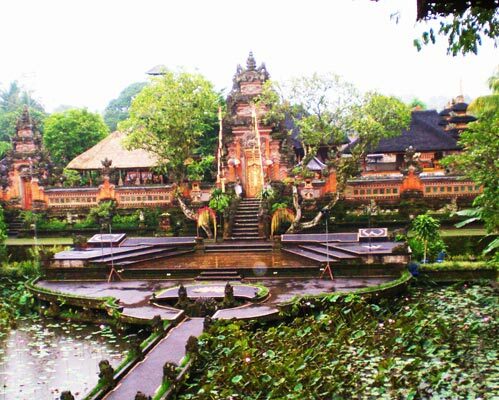 Sonderangebot 2016 für Ubud Reisepreis. Jetzt buchen. 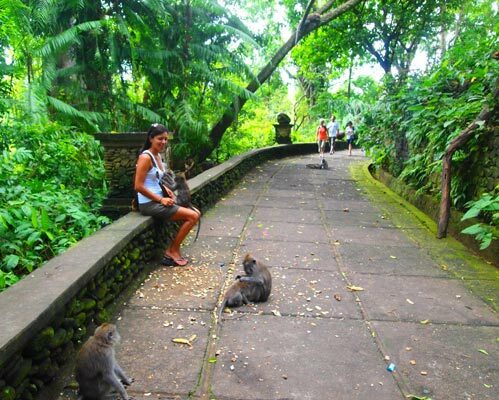 Une journée complète de visite en visitant l'un de l'objet prestigieux (chute d'eau, belle terrasse de riz, la forêt des singes et le palais royal) à Bali. 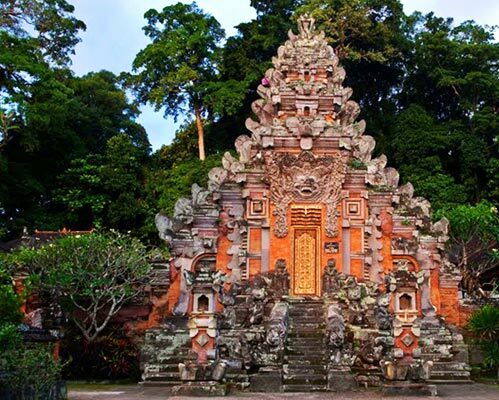 Offre spéciale de l'année 2016 pour les prix Ubud Tour. Réservant dès maintenant. 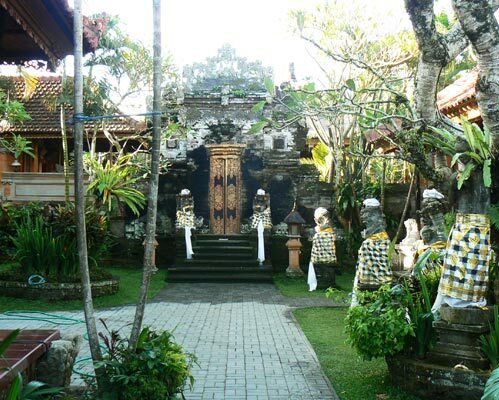 Un Intera giornata visitando uno degli oggetti di prestigio (caduta d'acqua, bella terrazza riso, la foresta delle scimmie e il palazzo reale) a Bali. 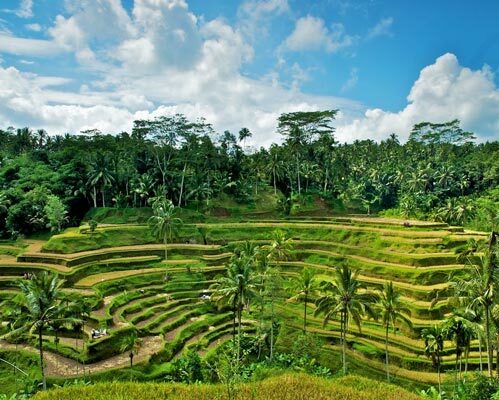 Offerta speciale 2016 per il prezzo Ubud Tour. Prenotazione ora. 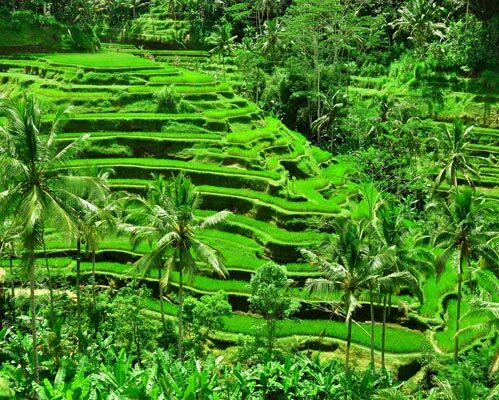 Isang Buong Araw Tour sa pamamagitan ng pagbisita sa isa sa mga prestihiyosong object (water fall, maganda rice terrace, ang unggoy gubat at bahay-hari) sa Bali. 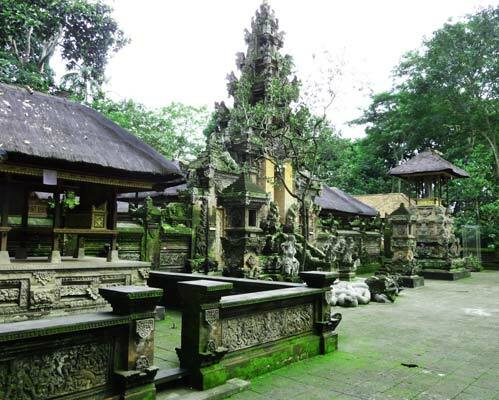 Espesyal na Deal taon 2016 para sa presyo Ubud Tour. Booking ngayon.